I did this on the podcast the other day, but I thought as it was going to start life as a blog post then I would just finish it. I have had a fantastic year (and a little bit) of knitting only using wool grown, spun or dyed in the UK. Thank you so much to everyone who suggested yarns, breeds, spinners, dyers and for your interest… this would not have been possible without you. I have been asked quite a few times now for recommendations – so I hope those of you who are looking to Knit British in 2014 find the following helpful! This may sound controversial but don’t believe BFL is the only British wool. It is beautiful and I love how buttery, smooshily soft it is. It is a very popular yarn, but if you are considering knitting British and include more breeds, I would say delve further as when I first started looking into British wool the searches through up a lot of BFL first. I checked out the RBST site for rare & vulnerable breeds & searched on from there. It is good to get an idea of which breeds are most at risk and seeking out wool from breeds where your money will go back into supporting the sheep. Check out Blacker Yarns too: they are a brilliant source of specialist and rare breed yarns as well as Welsh, Scottish, English and Falkland breed yarns. There is a HUGE wealth of info out there on where to get British wool. I started to compile a stockist list, but nothing can compare to the wonderful time and effort Jane has put into maintaining her list at Woolsack – it is an absolute must when looking for inspiration and choices. Do cast your knits nets wide. Check out what is local to you, but also search by UK region and see which breeds are local to that area – I sort of wish I had started at one end of the map and knit my way around to be thoroughly region and breed specific! There are a couple of groups on Ravelry concerned with the love of British wool and you are sure to find inspiration there…as well as here still, at good old KnitBritish. Don’t believe the myth that buying British wool is expensive. I do not know who is telling this lie, but I have had to correct more people than I care to add up. Don’t believe that just because the wool is from a British company that the wool is grown or spun here. Many companies have their wool spun abroad, often in Turkey or Italy. That is not to say you would not be supporting jobs in some stages of production & handling in this country. Do, however look to see if the company have any British yarn, or UK spun brands within their range. Rowan are a thoroughly British company, based in Holmfirth, and while many of their range are spun and dyed out with the UK they do have their British Sheep Breeds range and also their Tweed yarns (though, not felted) are spun in Yorkshire! And while I am wary about buying wool that has had most of it’s processing done outside the UK, do remember that there is a British industry outside these isles. Falkland Merino is farmed organically on the British Falkland Islands and is processed, spun, dyed and sold in the UK by the likes of Laxtons, Blacker Yarns and John Arbon. Don’t be afraid to ask where the wool comes from, where the flock lives or which mill spun it. Most yarn sellers – particularly those involved with most parts of the process – will be more than happy to tell you, often at length. They know exactly how discerning knitters are when it comes to the fibre you knit with. If you are allergic to wool, but still love knitting don’t forget that some acrylic wool is also manufactured in the UK. Woolcraft, Marriner, Jarol and Wendy all have some acrylic and blends which are spun or manufactured in the UK, but please check the labels. Do support your LYS, if you can. I often hear folk say that their LYS doesn’t stock much British wool, but you can always ask them if they would consider stocking some. If you regularly shop online, then look on twitter, ravelry, pinterest or…*shudder* ..,Facebook and see if your yarn shop or favourite dyer are on there. It is a great way to get regular updates about the yarns they are dyeing, or when they have new yarns in stock and when their shop updates are. It is also lovely to be able to say hello and tell them how much you like their products. Supporting your YS takes on new dimensions when you bring social media into the equation – I know I have come to look forward to reading their tweets and learning about the process they go through to feed our yarny habits! Please DO include an approximate meter age on your ball bands. Whether its a one skein project or a xxl sweater we need to know roughly how much we can expect per skein. Personally, this is high importance for me, particularly when it comes to the meterage to price ratio. I am generally on a budget and some knitters are on even tighter budgets (you are saints!) so I think it is really important to include. Sometimes, even weight is not clearly stated on the ball band, rather gauge… is this a cunning plan to get us all swatching?! 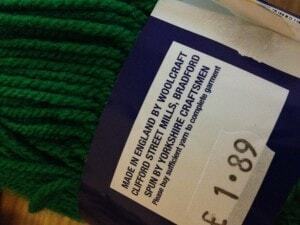 Sellers of British wool yarn, please take the time to give standard information about your product. We are your target customers, we will come back if you sell your product well! 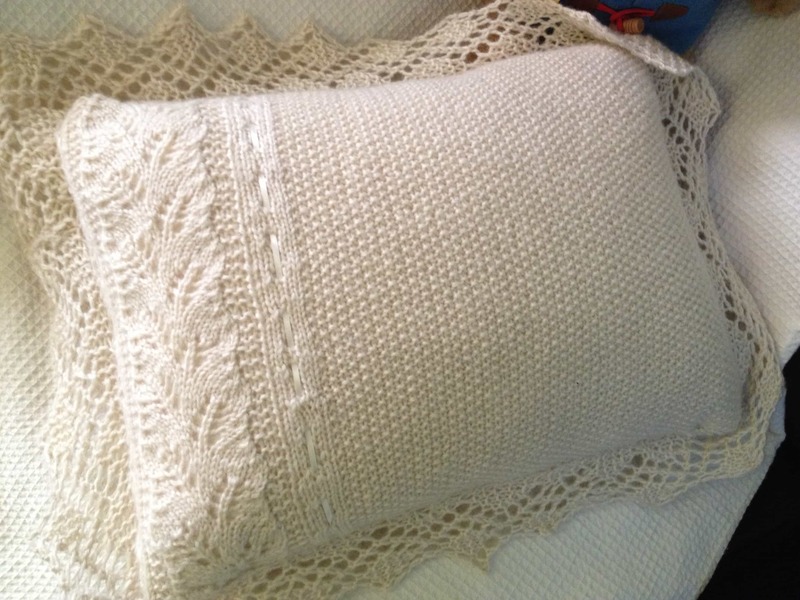 I love that I can look at my knits and know where I bought the wool and which breed it came from. The fact that it was all sourced from within the British Isles is just so heartening to me. Brilliantly worded and we so agree ! Our website tells where the sheep grow their wool, often right down to the individual flock, and where it is then processed. We do our best to give yardage, but sadly some of the figures we are told by the processors seem to be only an estimate. Estimates are perfect though, it just gives an indication. I do understand that yarn sellers may have to rely on processors for this info. It’s often out of your hands. I was so pleased to discover your blog and new podcast via Louise of Caithness Craft Collective. I am a keen sock knitter and designer and love to use British wool when I can. You have some fabulous resources here and I look forward to exploring more. The Tree Rings shawl is next in my to-do list and I’d love to do it in something nice and sheepy. Oh yes, it would look lovely in a Sheepy yarn. A wensleydale would be a beautiful texture or a Jacob blend (to cut down on the itch!) thanks for reading & listening! Yay for British, as usual. I’ll certainly be stocking a fair amount of British in my new shop. Was interested to read about Wendy – I didn’t know that.